This may have been a scandalous life for its time and even today, but it has to be said that it was a mightily beautiful one. 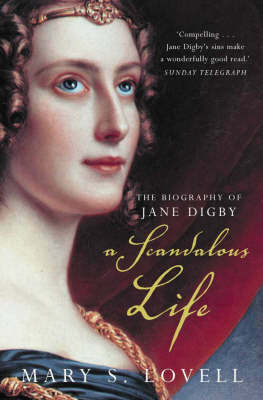 Filled with the awe inspiring love that Jane Digby lived by, ‘A Scandalous Life’ is as powerful, strong minded and passionate as Jane Digby herself. The descriptions of her lives firstly in Georgian England, Europe and lastly the desert had me gripped from beginning to end. Mary S. Lovell has done wonders in the telling of an amazing woman. Other reviews have mentioned the lack of knowledge surrounding Jane Digby, labelling her as ‘no one in-particular’. I have to say, that this is narrow minded when you read about this fabulous woman and the passion behind her every move in life. This story is worth a hundred of some other biographies of a more well known figure. This life is, some would say, a hidden gem.